Your business may be looking for that perfect copier. The color copier that can make the copier you have today and that is driving you nuts be a distant memory. 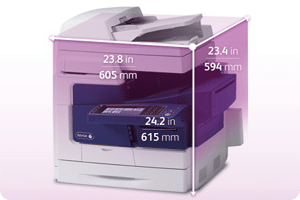 The Colorqube 8700XF has some cool features you would want to be aware of if you run a small office. Print, Copy, Scan, Fax and Staple all in one device! Overall we love this copier for most of our clients. If you would like to get a quote on a Colorqube 8700XF, please give us a call today!